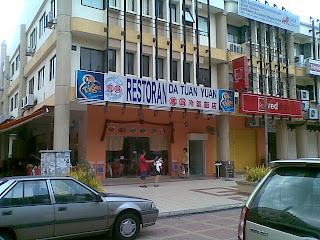 Da Tuan Yuan 团员冷气饭店, located at Bandar Baru Klang has always been my father's favorite restaurant despite teh place being located 30 minutes away from our place. So it really was a no brainer as where should we go for Father's Day lunch. Located in BBK, This place has been famous among the locals for their brilliant steamed fish head, among other varieties of yummy delights. 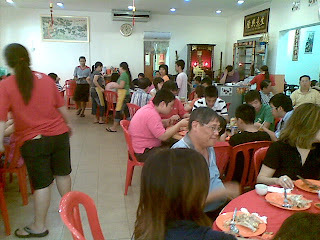 Typical chinese style new restaurant, really normal looking. Good luck looking for parking space there during lunch & dinner hours. They occupy 2.5 shoplots including the open air area, quite big and yet its always full! First and foremost....there must be steamed fish head!! 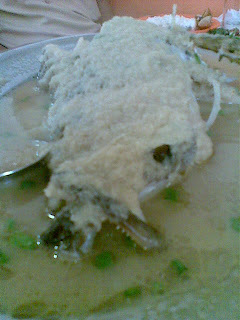 !this is the steamed fish head with ginger. This fish head here is spot on. 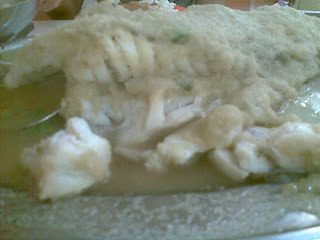 Fresh fish, just caught a day ago from Pulau Ketam with its springy texture...coupled with the ginger and superior soup...awesome!!! 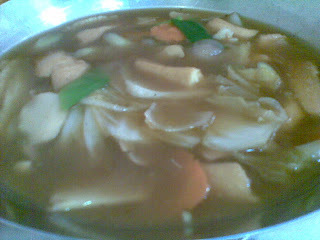 The harmonious combination of freshness, mild spiciness and mild bitterness is the only thing you'll need in this world really! 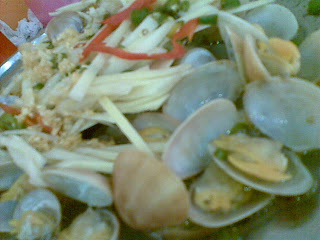 Definately another signature dish here. 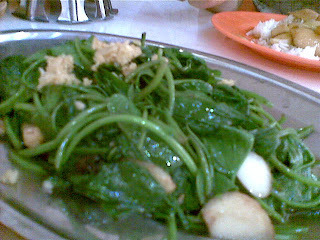 We had the tofu & sweet potato leaves as well. Standard quality which goes well with the other dishes, comes in a rather generous portion. 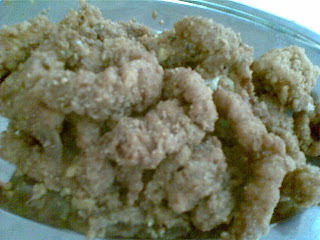 We ordered the deep fried mantis prawns 虾姑 with salted eggs as well. Sounds like a safe bet for seafood yummyness right? WRONG!!! This is rpobably the only food that SUCKED over there. 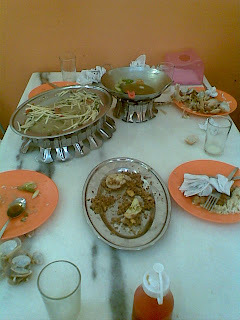 The dish was over battered with tasteless flour, covering the taste over the prawns and even the salted eggs...yes it was THAT bad! Avoid this dish at all cost. 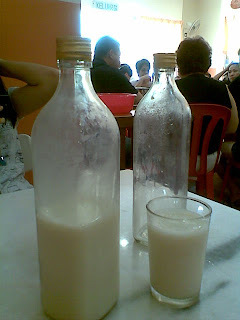 One thing interestingly good is their self made soy milk. Now i normally insist on having just chinese tea with my meals but my sis insisted that i gave it a go. We order a couple more after that :D Its not overly sweet like those u get in a can, and u can actually taste the soy...yea taste the taste of the soy (huh?) ! Try this as well. Heres a map for you readers. Coming in Along Persiaran Bukit Raja 1 from Federal Highway, turn right when you reach a T-junction, then turn left when you see the police station and CIMB bank. the restaurant is tucked in the middle of both the rows of shops. Doggyjames says...The steamed fish head & lala is enough reason for you to at least try this place out. The roasted pork & salt crusted chicken are very nice too!